Vinyl Flooring Tiles are great value for use in your bathroom or kitchen, as they are a cheaper alternative to real tiles, lino or laminate flooring. You will find that the quality of the tiles we stock at Bromley and Able is incredibly good, and therefore these flooring tiles are becoming a top choice for those on a budget. Our business customers also choose this type of flooring for their premises, since you can keep costs lower by investing in this option. You can browse our range of vinyl flooring right here art our website and you will notice that we have a wide range of colours and styles available. Vinyl Flooring Tiles are available from Bromley and Able Carpets. Bromley and Able only employ trained staff to carry out installations, so you can be sure that your tiles will be laid perfectly by our team. Our installation will cause minimum disruption to your daily routine, so that you can make the most out of your new floor straight away. 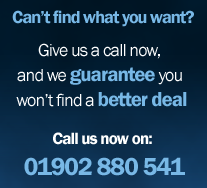 For more information please get in touch with us by calling 01902 880541. You can also email us by filling out the enquiry form on our website.